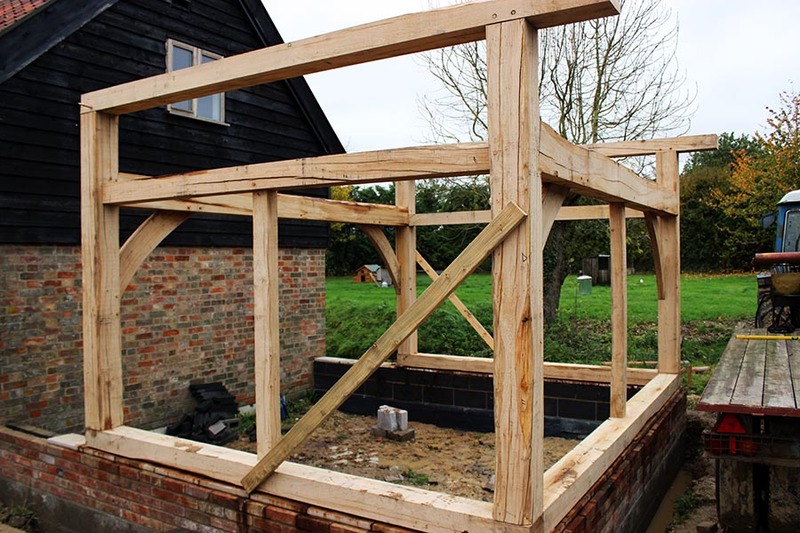 Back in February this frame was cut in the workshop, all of the timber sourced very locally from farmland hedgerows and clearance. 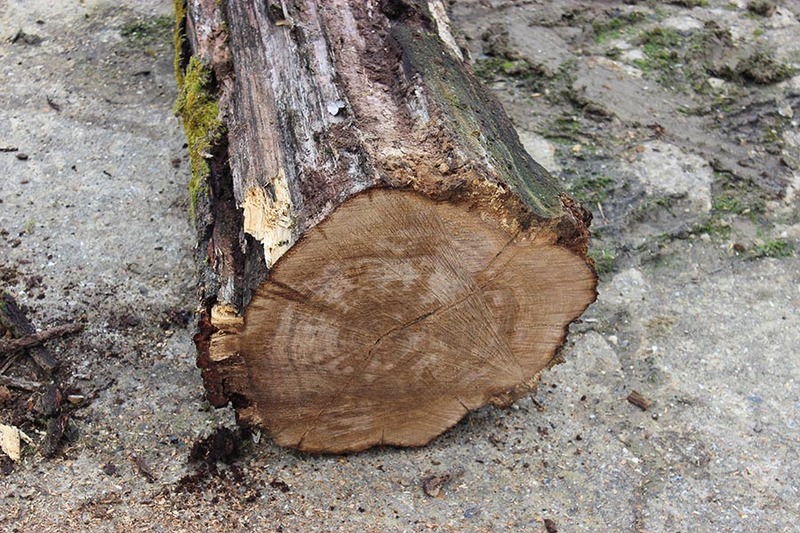 Fortunately from a timber shrinkage point of view, the oak had been laying around from some years (possibly decades!). This is what it looked like before it was milled. I suspect many would consider this firewood, which it most certainly is not! 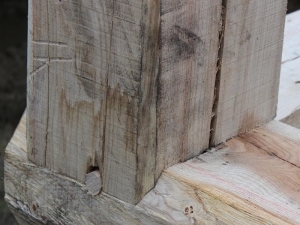 Very stable dry oak, very good at blunting my fine chisels! 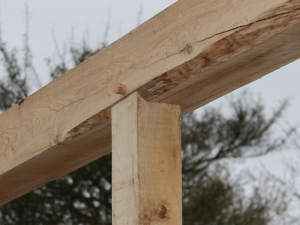 Though the frame design is quite simple, the goal was to optimise the use of timber. 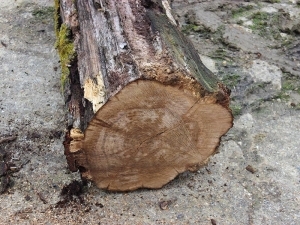 So when the miller cut the timber, he retained some of the bark surfaces. These were then draw-knifed away to leave what is known as a waney edge. 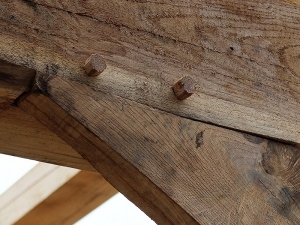 You see this practice in many ancient timber frames, it’s a shame more new frames are not like this. 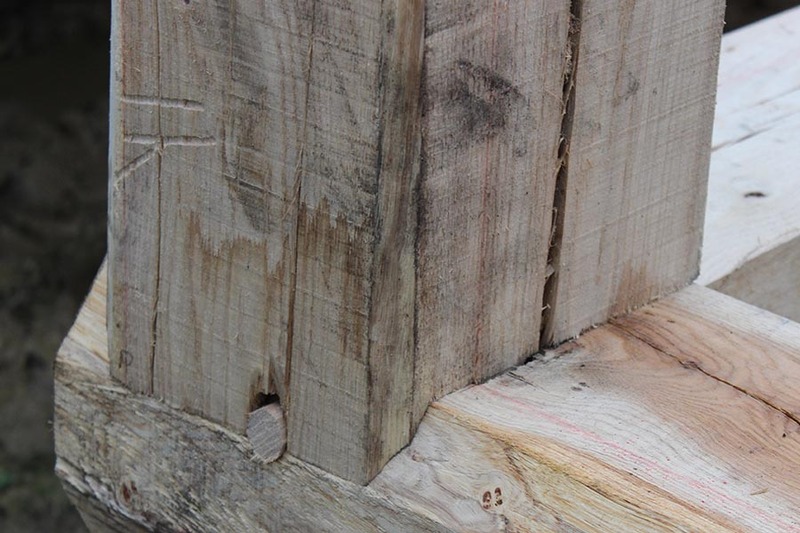 In the above picture you can see how the main post joint is scribed around the waney edge of the sole plate. Even though this will eventually be hidden, this always a fun detail to cut. 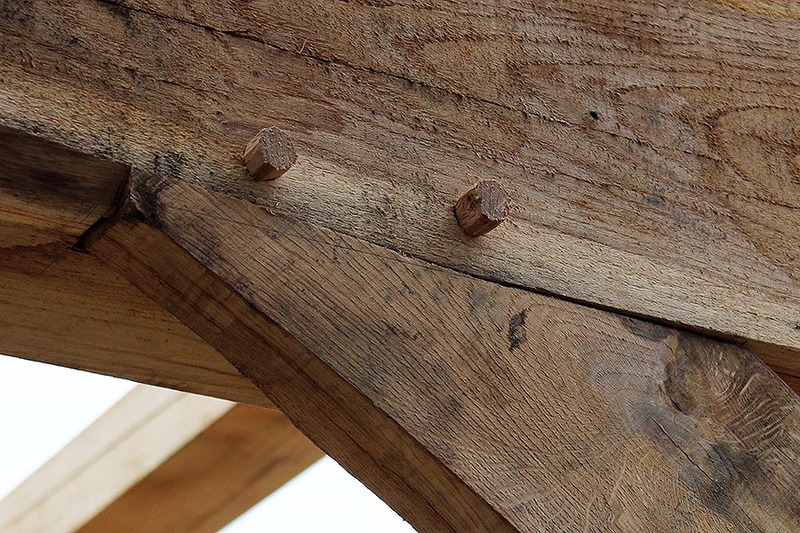 This diagonal brace also has a small scribe detail, plus some mud from a very soggy site! Most choose to clean frames once they are closed in, more detail on that here. The frame had been stacked in a dry workshop for 9 months, which normally would pose huge problems with regards to shrinkage and twisting. 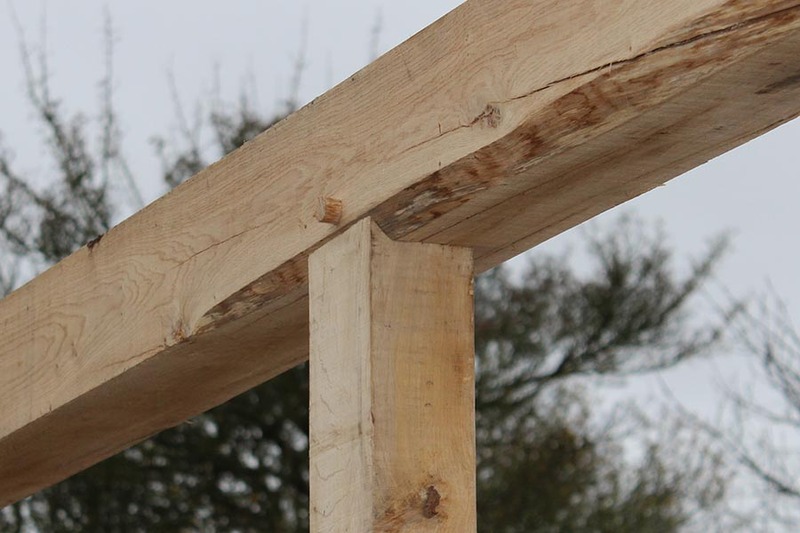 But the timber was already well seasoned, so we only had one piece that was twisted, but being a wall plate it gave us no difficulty. 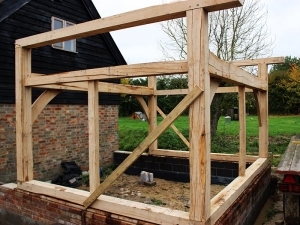 A simple ‘box’ frame to have a softwood roof, weather boarded to match the adjacent building.